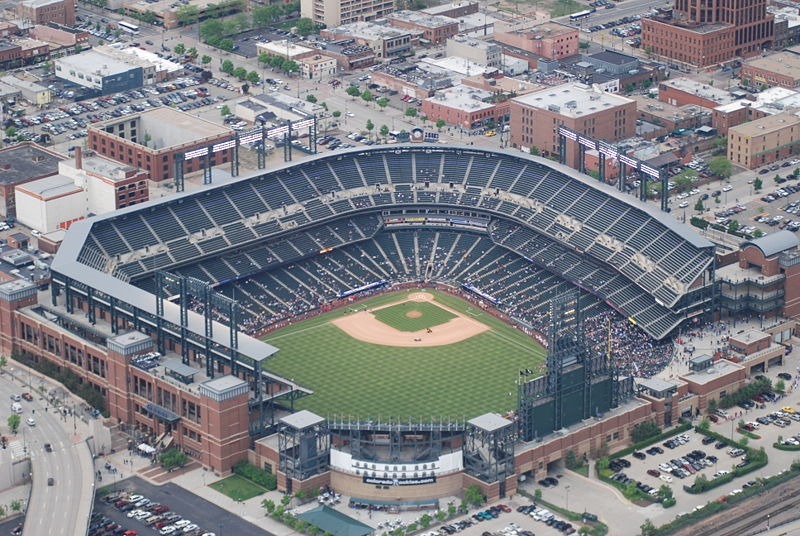 Nestled in the streets of downtown Denver is Coors Field, home of the Colorado Rockies since 1995. 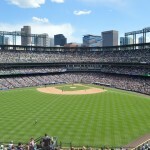 For years the City of Denver was the home of two professional sports franchises, the Denver Broncos (NFL) and Denver Nuggets (NBA). 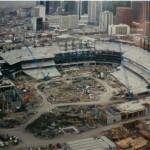 By the 1980s the city had grown considerably and wanted a Major League Baseball franchise. In August 1985 the National League was permitted to expand by two franchises. Interested cities had to have plans to construct a MLB stadium before they would be considered for expansion. Cities vying for a franchise other than Denver included Buffalo, Miami, Orlando, Tampa and Washington DC. 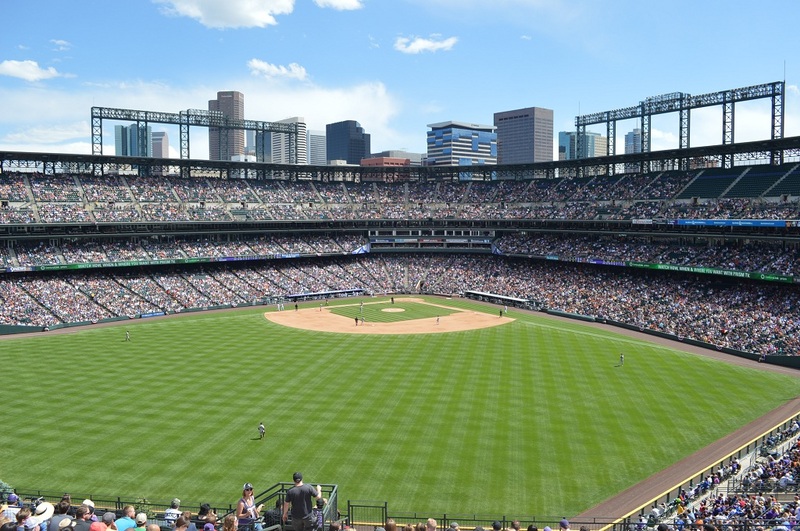 By 1989 the Denver Metropolitan Major League Baseball Stadium District was formed by the state to have a ballpark constructed. In August 1990 voters in a six county area approved a one percent sales tax for funding. This came before the city was awarded a franchise, but showed MLB that the city was willing to build a ballpark. 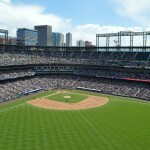 In June 1991 MLB awarded Denver and Miami franchises. 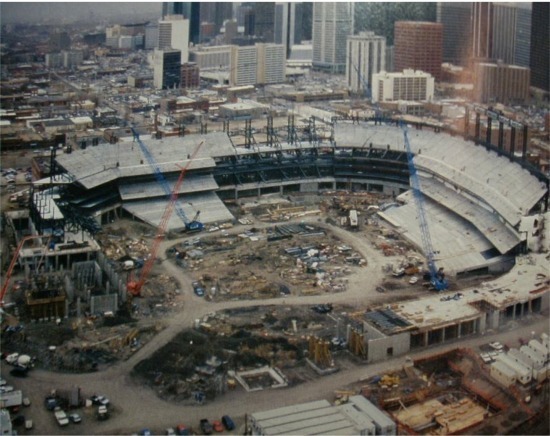 A site at 20th and Blake Streets was chosen and construction on the ballpark began October 16, 1992. Dodgers Hideo Nomo pitches no-hitter on September 17, 1996. Gold Glove Award Winners: Larry Walker, Neifi Perez, Todd Helton, Carlos Gonzalez & Troy Tulowitzki. 1997 NL MVP Larry Walker. Team record 92 wins in 2009. Silver Slugger Award winners Carlos Gonzalez & Troy Tulowitzki in 2010. 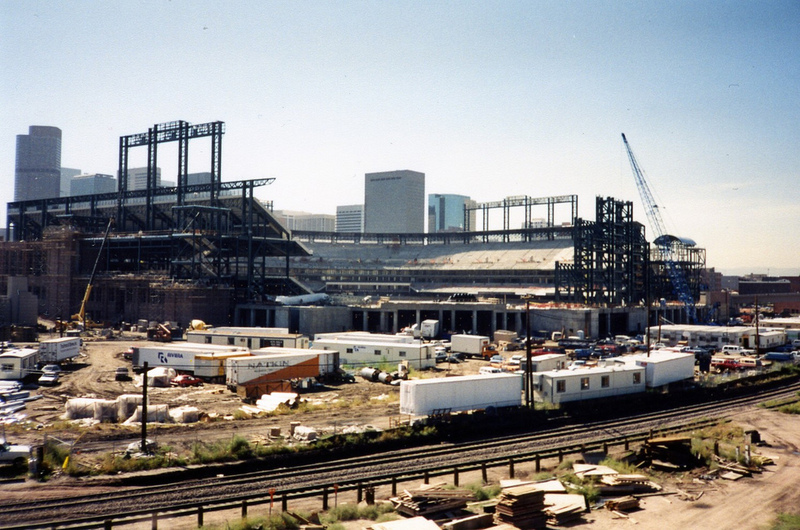 Named the Colorado Rockies, the team played at Mile High Stadium during the 1993 and 1994 seasons while their new ballpark, Coors Field was constructed in downtown Denver. Original plans called for the ballpark to have a seating capacity of 43,000. 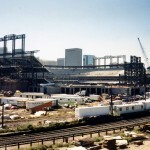 However after the team attracted three million fans during their first season they announced in November 1993 that they would enlarge Coors Field to seat 50,000 fans. 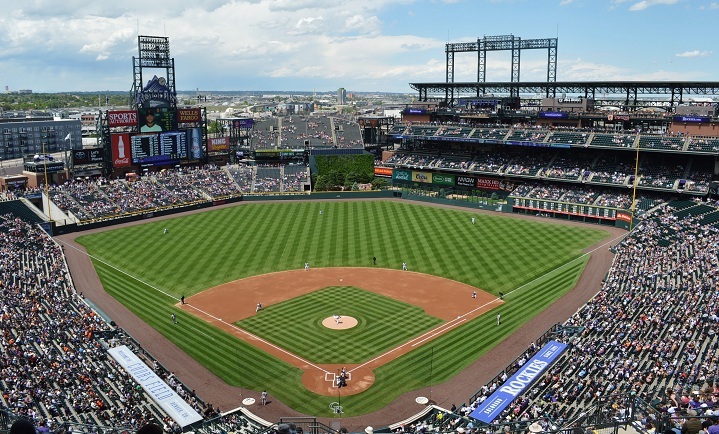 The first game played at Coors Field was on April 26, 1995 between the Rockies and the New York Mets. 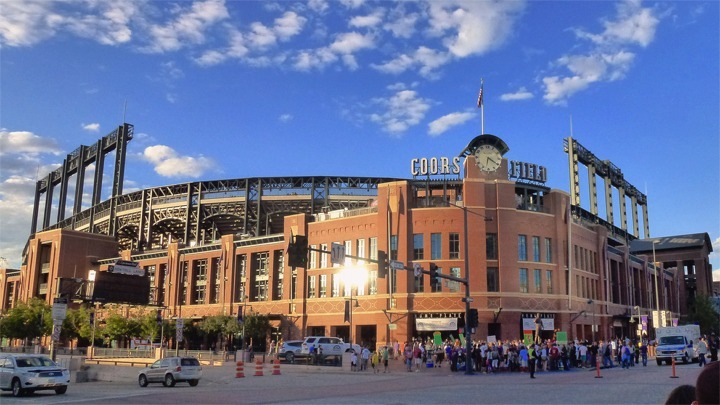 When it opened Coors Field became the first baseball-only stadium in the National League built since Dodger Stadium in 1962. With its hand laid brick and clock tower, fans might think that they were entering a modern day Ebbets Field. 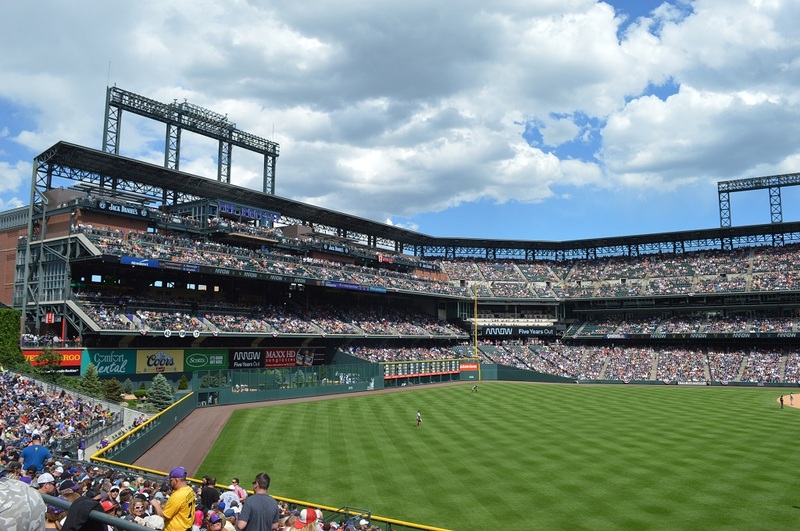 Coors Field combines the nostalgic feel of a 1920s urban ballpark with 21st century technology and conveniences. To prevent the ballpark from being imposing on nearby neighborhood buildings, the field is located 21 feet below street level. 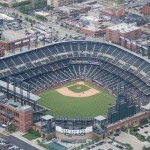 Its old fashioned brick facade allows the ballpark to blend into downtown Denver. 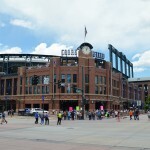 One of Coors Field signature features is the clock, located at 20th and Blake Street. 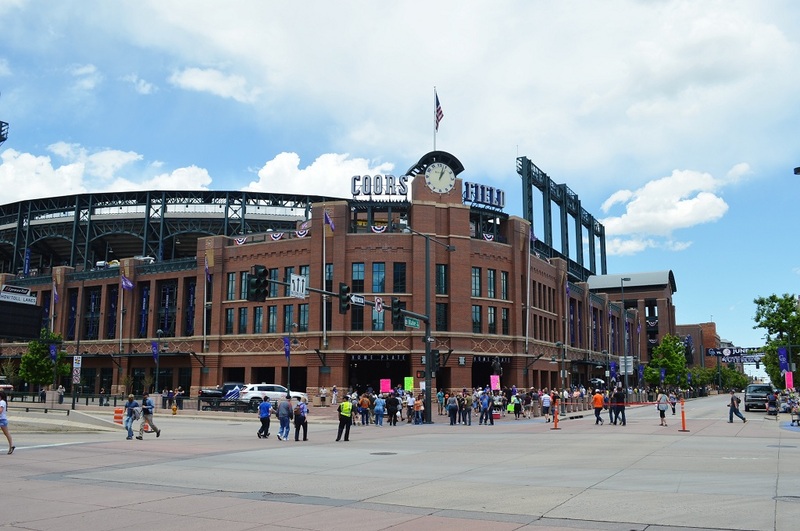 This is a location for fans to meet prior to the game. 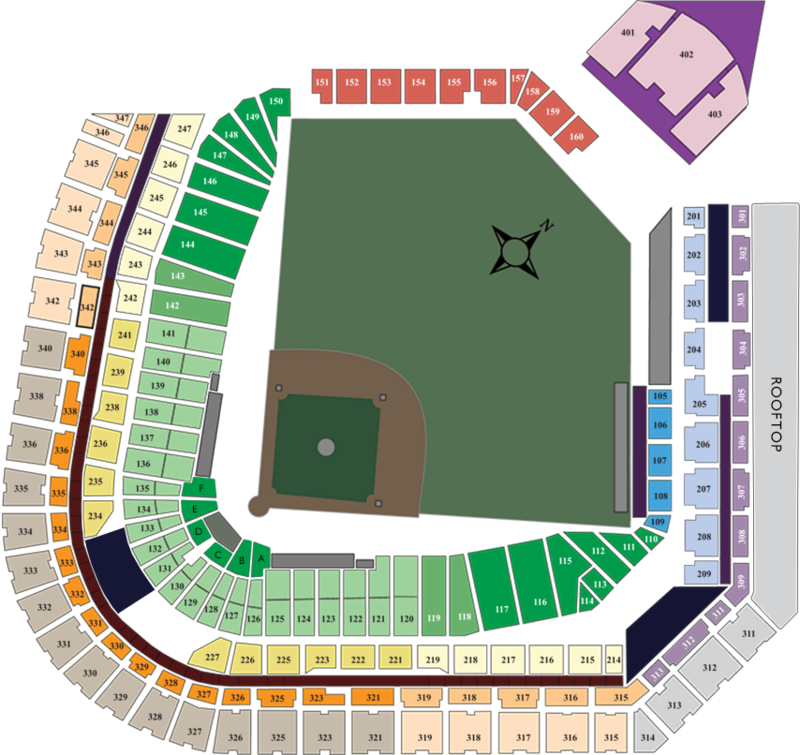 Inside, the main three tier grandstand extends from the left field foul pole to homeplate, to the right field foul pole, and around into right-center field. 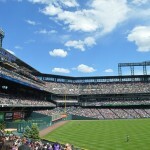 Marking one mile above sea level is a row of purple seats that extend around the entire upper deck of Coors Field. 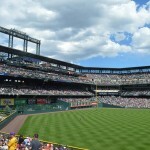 The “Rockpile,” a 2,300 seat bleacher section is located behind the centerfield backdrop and offers a unique view of the playing field. The main HD video/scoreboard is located beyond the left field bleachers, while a 14 foot high out of town scoreboard makes up part of the right field wall. 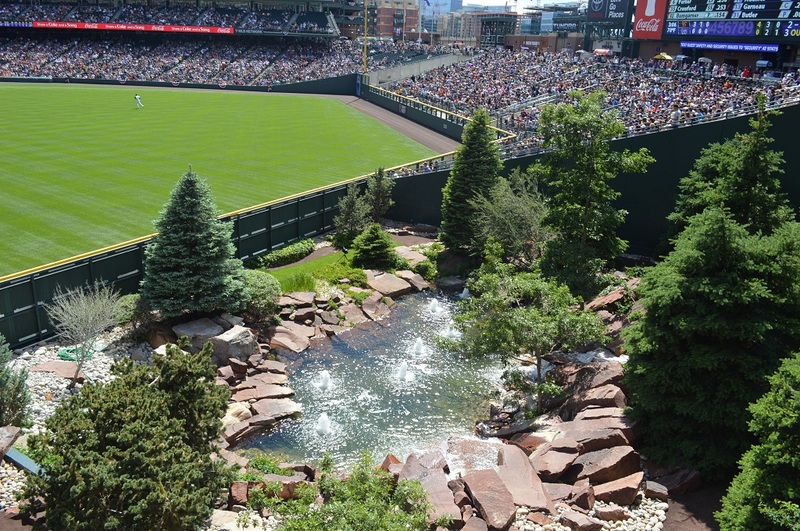 The bullpens are found behind the right field fence; along with a tree/rock covered mountain scene that contains water fountains. 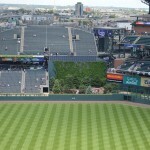 The Rockies relievers even plant a small garden near their bullpen. 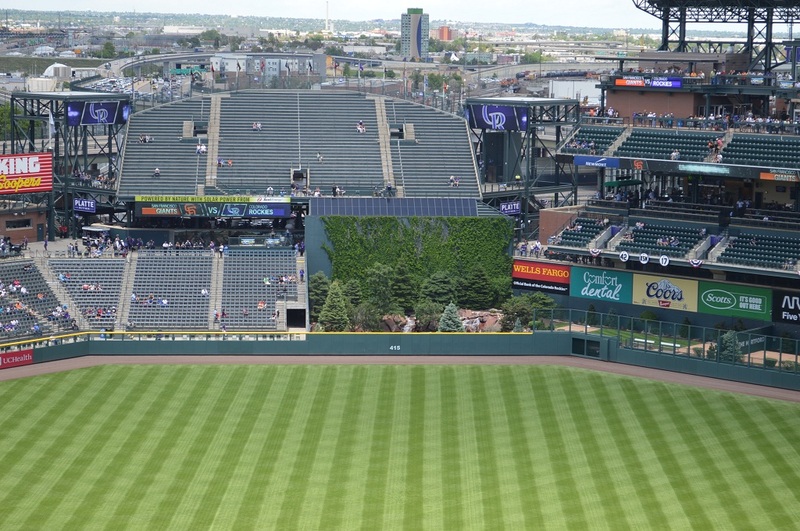 In October 2013 the Rockies unveiled plans for an extensive renovation to the upper deck in right field. 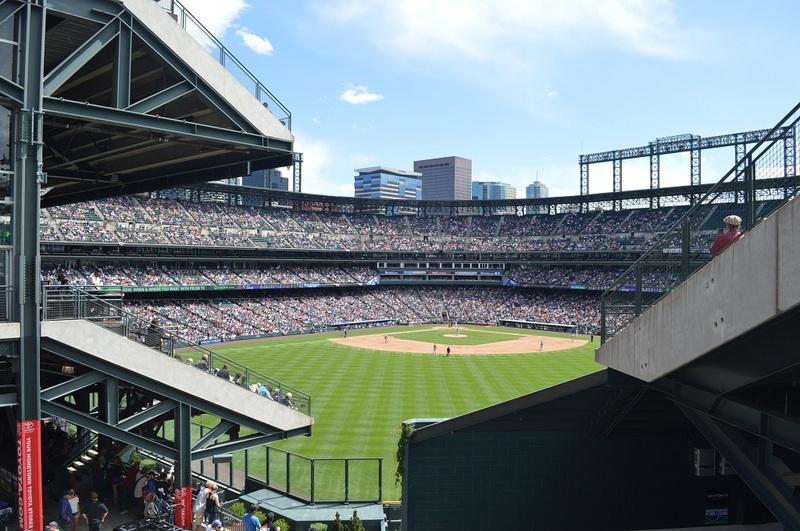 Completed by the 2014 season, this project removed the majority of upper deck seating in right field, replaced with a two level rooftop deck. 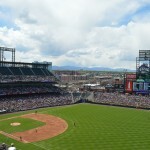 Here fans have panoramic views of inside the ballpark, the Rocky Mountains and downtown Denver. 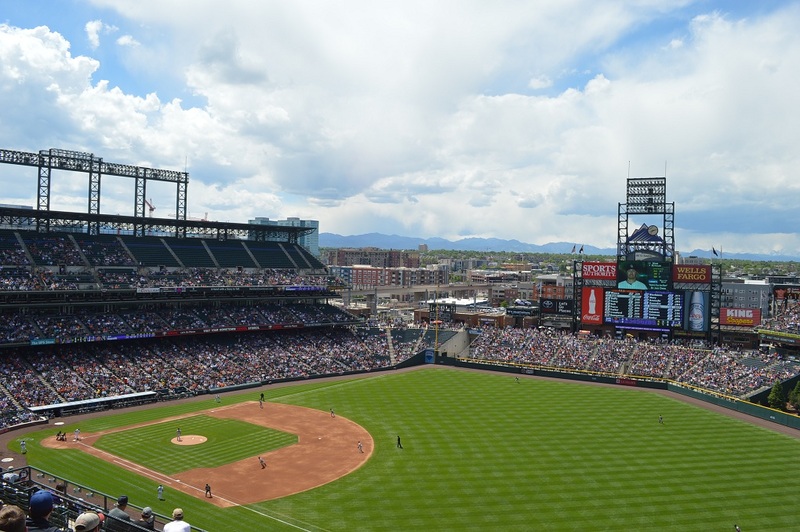 This area features the 5280 Craft Bar featuring 52 beers on tap, the CHUBurger Restaurant and VIP Cabana Terrace. 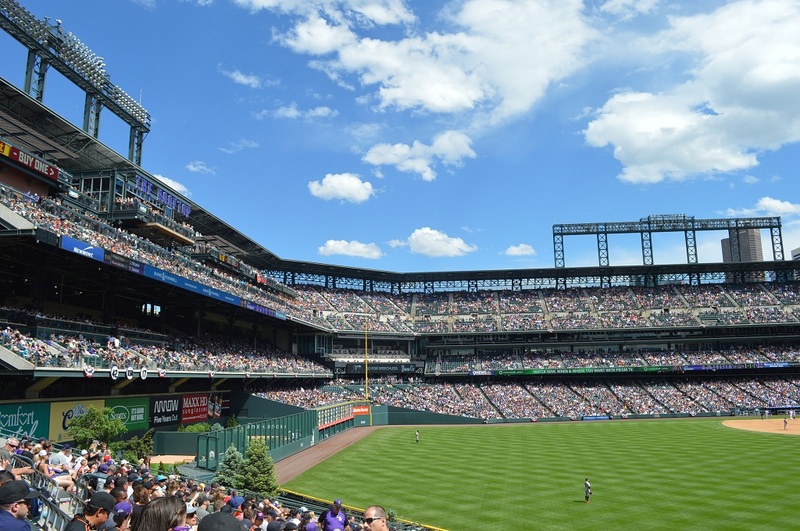 Prior to the start of the 2018 season, the Rockies installed one of the largest videos boards in baseball. A new 59 feet high by 116.5 feet wide video board was installed replacing the exisiting one in left field. 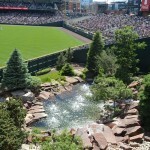 It features a unique rock-shaped formation along the top edge of the display inspired by the Rockies’ logo. 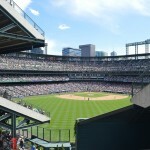 Coors Field has a immense amount of amenities that includes over 4,400 club seats, the Roundeus at the Sandlot Brewery, Coors Fields’ microbrewery located at the right field entrance; Diamond Dry Good gift shop, the Rockies merchandise store, and the Mountain Ranch Club that features fine dining on six tiers located down the right field line. 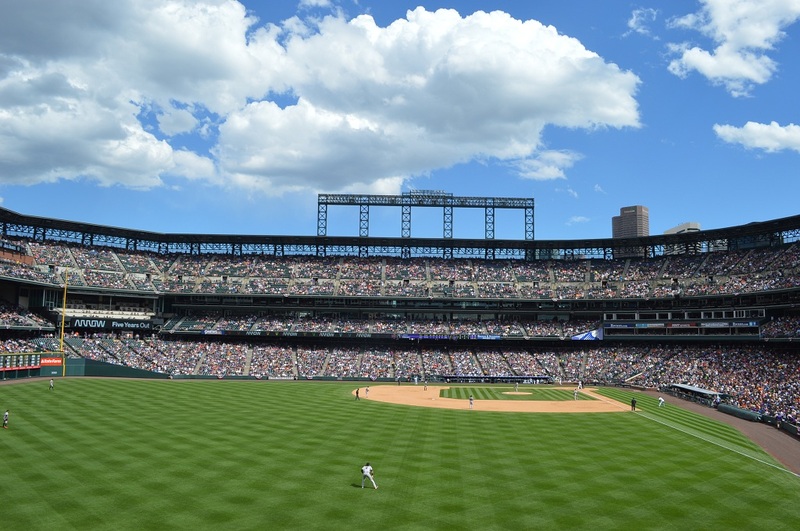 Many fans agree that Coors Field is one of baseball’s pristine ballparks. 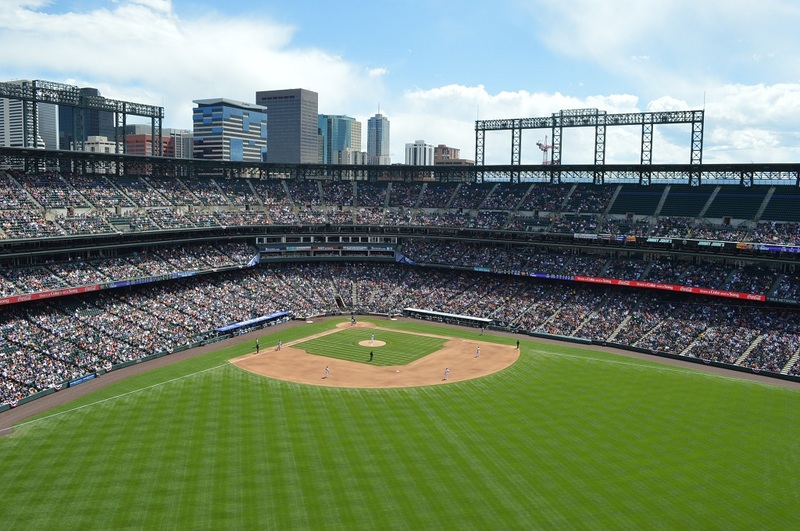 At an elevation of 5,200 feet Coors Field instantly became a hitters paradise upon opening. The thin air increases runs and homeruns by 50 percent. 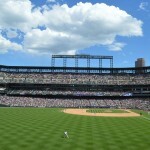 With its dramatic views of the Rocky Mountains, Coors Field ranks as one of the most picturest ballparks in baseball.